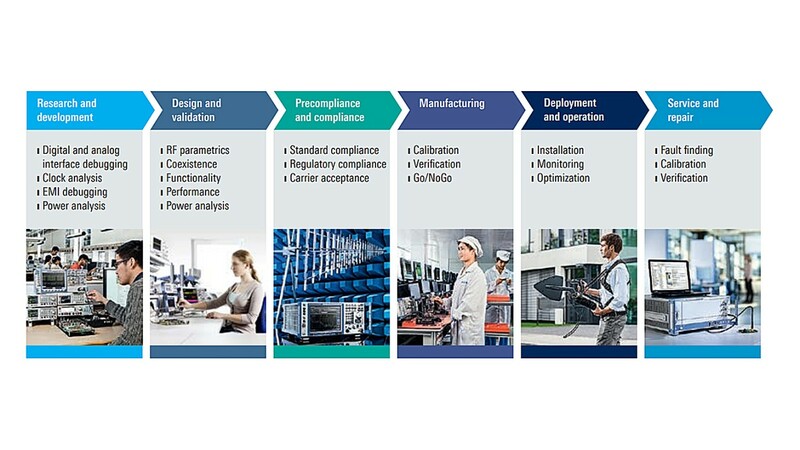 Rohde & Schwarz helps you understand your testing needs and perform all necessary tests to bring your IoT application to market quickly. The Internet of Things (IoT) will affect all industries and ultimately everyone's daily life. Things such as containers, streetlights, trash cans, trees and cows are already connected to the Internet, and who can imagine what will be connected in the near future. What all these applications have in common is that they use of information from connected "things" to improve all kinds of processes and, ultimately, to save money, energy and lives. Expectations for reliability, performance, quality of experience and longtime availability are therefore extremely high and connectivity is a crucial success factor. The design challenges vary for different IoT applications. Reliable communication must be ensured for a smart meter installed in the basement or a modem in a fast moving car. 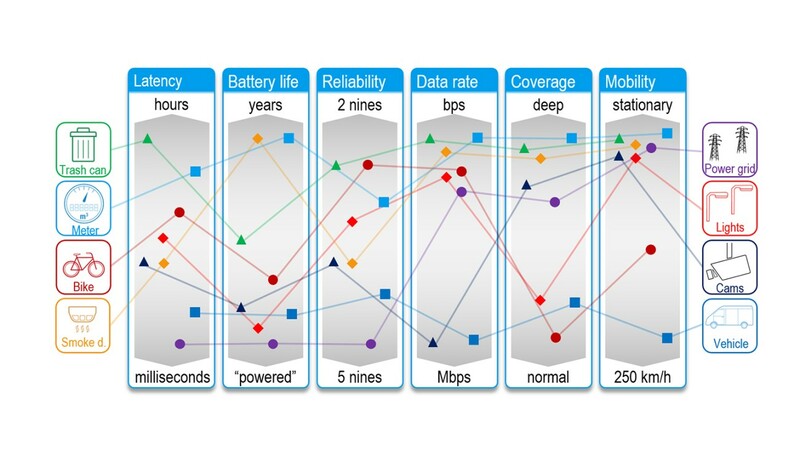 Battery life requirements of more than 10 years and latency requirements ranging from minutes to microseconds become relevant. Some applications requiring global coverage and mobility will focus on cellular technologies like LTE-M and NB-IoT. But the majority of devices will use non-cellular wireless technologies such as Bluetooth®, Wi-Fi, ZigBee, THREAD, EnOcean, Sigfox®, LoRa™ and others that operate in unlicensed ISM/SRD bands. Universal solution for the most relevant tests such as RF performance, standard conformance, battery life and security. Can be used in various phases of the product lifecycle. A trendsetting product that supports non-signaling tests for the most relevant wireless IoT technologies including Sigfox and Zigbee.